Results from recent Munster B Cross Country Championships held in Riverstick. Sean Murphy placed fifth in the boys under 9 race. Ruby Cummins received a County medal for placing ninth. Our under 11 girls team placed sixth overall . 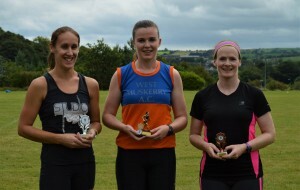 Grace Nyhan who was in fine form secured first place , along with Aoibhinn McKeogh who placed sixth. Both these girls received individual medals. Their team , including Ciara McCarthy and Aoife Tuthill also secured team gold medals in the under 13 race. The under 13 Boys team placed sixth. In the girls under 15 race, Ella Collins placed third, Emma Barry placed tenth- earning them both individual county medals. Ella and Emma also won team gold with Eabha Crowley who placed fourteenth and Niamh Quinn who was seventeenth. Boys under 15; Callum McCourt placed third for an individual county medal. 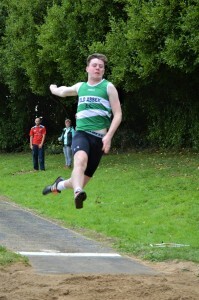 Callum along with Dara McCarthy (fifteenth), Joseph Buttimer (seventeenth) and Cian Walsh (twenty first) won team gold. In other news, we would like to congratulate Phil Healy on her recent award for “Inspirational Performance on Irish Soil”, presented by Irish Life Health National Athletics Board. Another inspirational athlete is member Laura Nicholson. 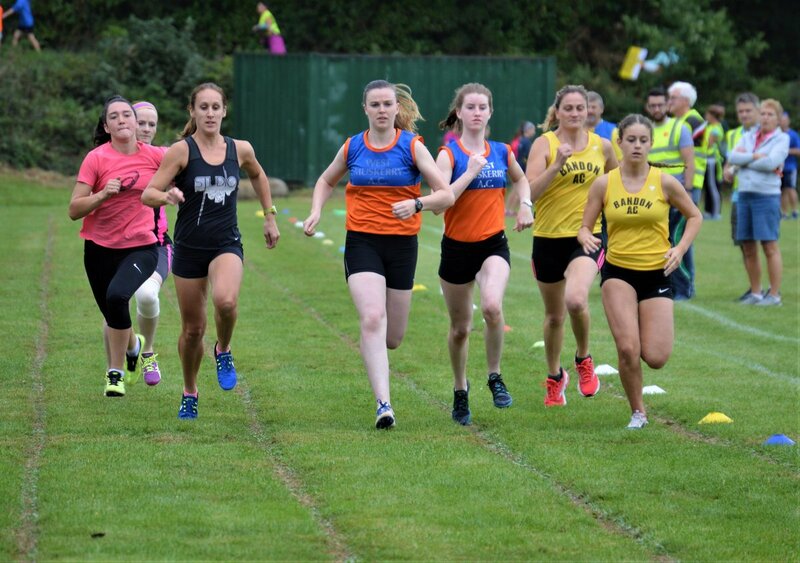 Laura has been selected along with thirty eight other athletes to represent Ireland in the European Cross Country Championships. This takes place in Tilburg in the Netherlands on ninth of December next. Wishing our members the best of luck in the upcoming Clonakilty Waterfront Marathon, Half Marathon and 10k race next weekend. Best of luck to our juvenile members representing their respective schools in Riverstick, which will take place in early 2019. It has been a busy few weeks for Bandon AC and Fit4Life members. Fit4Life members , aside from running Marathons in Dublin and Venice, competing in the Cork Airport 5k run, have been busy organizing and filling Shoe Boxes for Team Hope. Thank you to all who generously contributed. On 29 th October last in Conna, our under 11 Boys placed fourth in the Juvenile B Cross Country Championships. 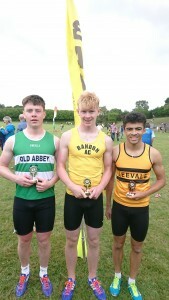 Well done to Eoin Sexton, Ben Flynn, Shane Barrett and Eanna Burke. 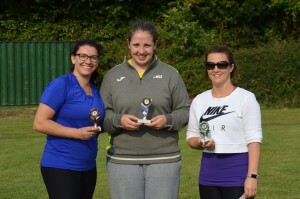 Under 15 Girls ; Emma Barry, Niamh Quinn and Eabha Crowley placed first. In the Juvenile Relays Cross Country Championships, held in Castlelyons on November 4th last. This was organized and hosted by St. Nicholas Athletic Club. We were well represented in each age group with all eight teams placing. Under 10 Girls placed fourth; Under 10 Boys placed third. Under 12 Girls and Boys placed second. Under 14 Girls placed second with the Under 14 Boys in fourth place. Under 16 Girls placed second , Under 16 Boys placed first. Amazing performances were put in by each athlete. Huge thanks to Coaches whose hard work at training has definitely paid off. This year will see a perpetual trophy being awards for the Best Overall Club at the Cross Country Championships, so hoping to see lots of Bandon individual and teams among the medals. It would be nice to have Bandon name as first name on this. Last Tuesday Night saw the return of new people wanting to join FIT4LIFE. This was very evident in the beginners group with 20 out on the Road. As always, the mileage was down on the first night in the Intermediate and Advanced Group, giving people a chance to settle in. This was also reflected in the beginners group where there was a walk-run program in place. 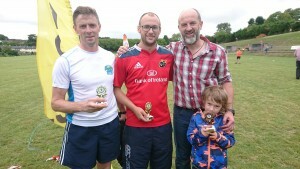 The weekend just gone saw 6 Members compete in the John Buckley 10 Mile Road Race. With less than 50 days to go to the Dublin City Marathon, distances have been increased and have gone up to the 20 Mile mark. We have 11 Members taking part in the Dublin Marathon this year. 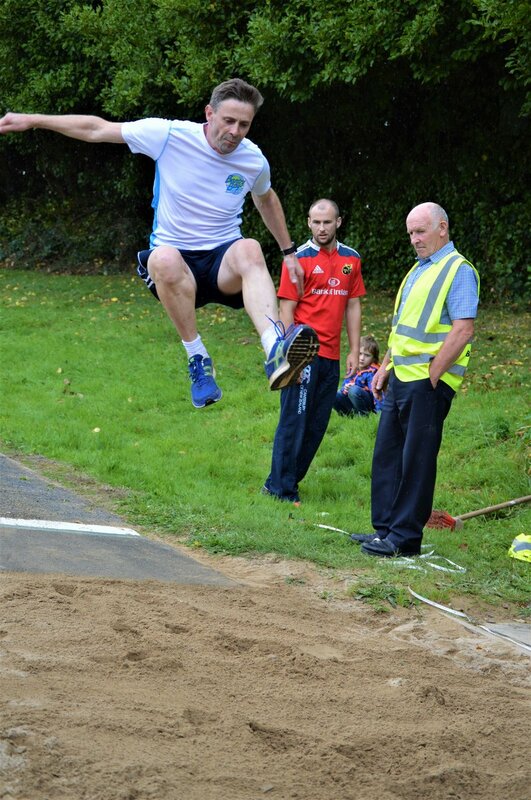 There will be a lot more on the horizon for Bandon FIT4LIFE with various events coming up i.e. 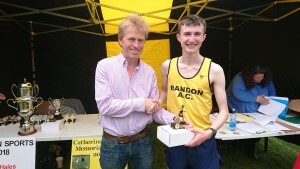 Cork Rebel Run and the Airport Run to name but a few. In my opinion, FIT4LIFE is getting to be a much bigger and a much stronger club and its not just down to me, its every member in FIT4LIFE that makes a difference. Thanks again to everyone who helped make the day a success. Bandon FIT4LIFE are delighted to announce that new Groups will be taken on, on Tuesday 4th September. Intermediate/Advanced Group will be at 7:00 p.m. (Those who can run 4 – 7 Miles comfortably). 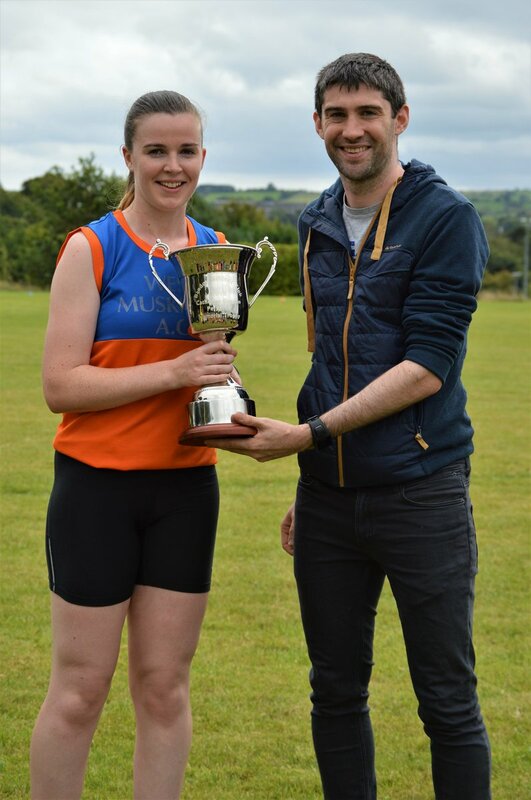 Well done to Rachel O’Shea of West Muskerry AC who won the 800m at our sports last Sunday and became the first winner of the Catherine Duggan Memorial Trophy. 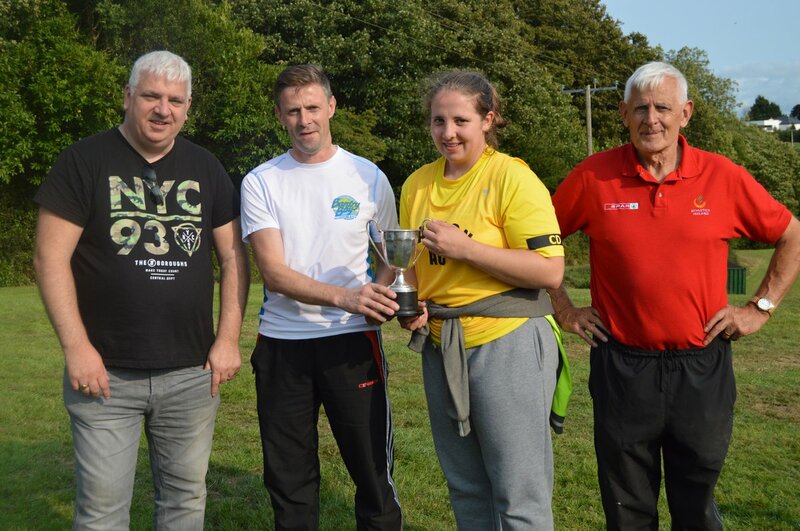 Rachel is no stranger to winning in Bandon, having won a number of West Cork titles in Bandon over the years. 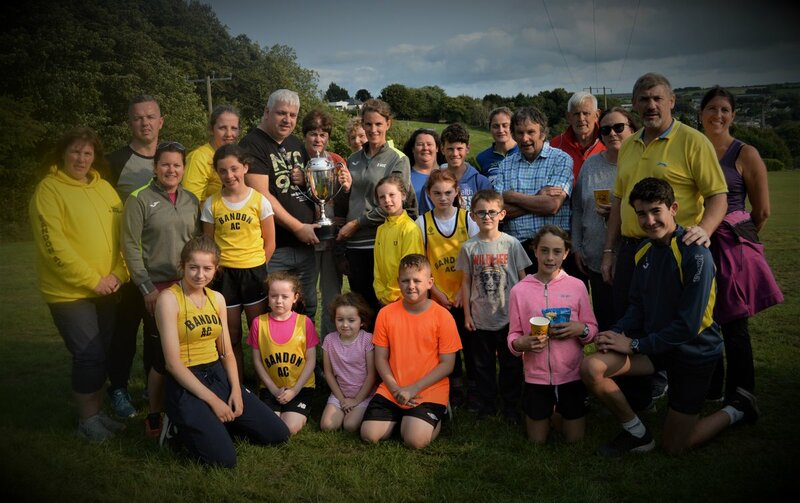 Bandon AC would like to thank the Duggan family for donating this trophy and for Ronan Duggan for making the presentation on the day. 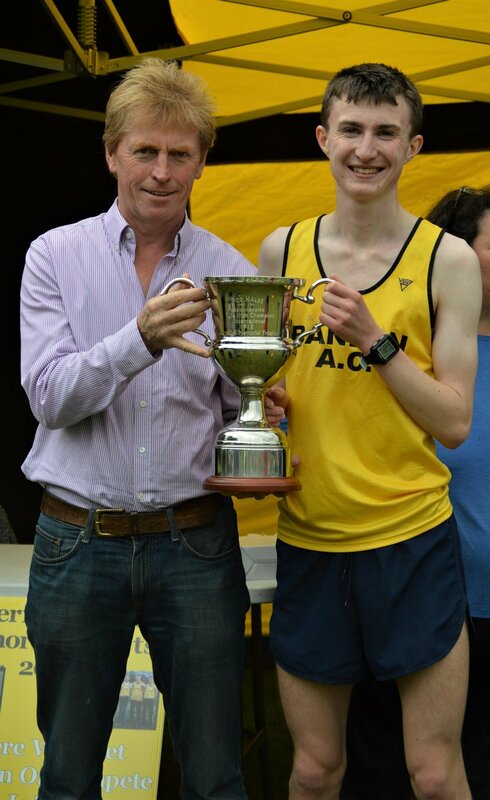 Well done to Naoise O’Flaitheartaigh who won the Men’s Mile at the sports last Sunday and became the first winner of the Bob Hales Memorial Trophy. Bandon Athletic club would like to thank the Hales family for donating this trophy and for Sean Hales and his son Sean junior for making the presentation on the day. The Patton Trophy for the Best Overall Senior/Junior athlete at the sports resulted in a tie between 3 athletes, so they will each get to hold the trophy for 4 months. Laura McSweeney and Emmet Callan from Bandon AC and Brian Lynch from Old Abbey AC. Well done to Laura, Emmet and Brian. 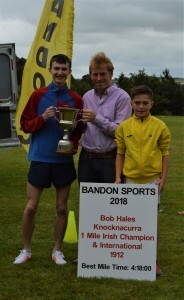 The O’Donoghue Trophy for the Best Overall Junior/Senior club at the sports was won by Bandon AC, well done to everyone who contributed to this success.